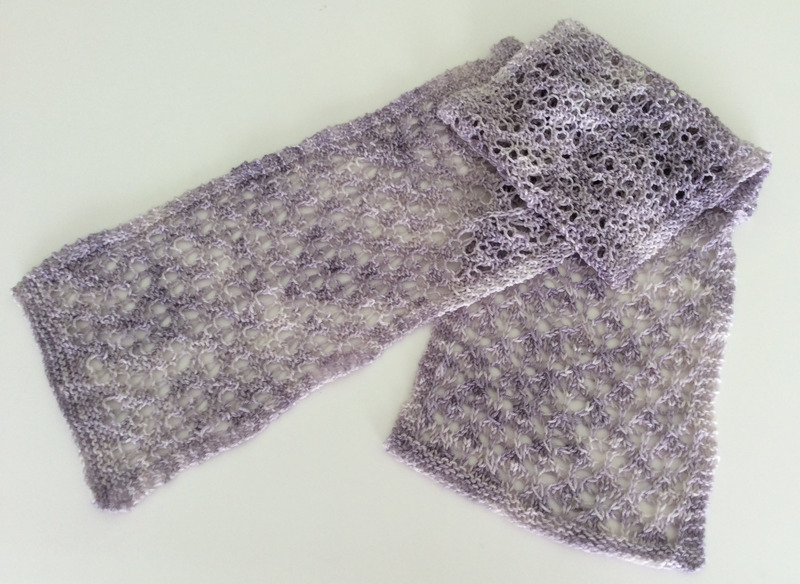 This lace knitted scarf is my first attempt at lace knitting. 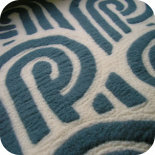 The pattern is made up of 8 repeated rows. I used a lifeline – which is a a strand of yarn that you thread through the stitches on the needle and it acts as a place marker. Every time I reached a perfectly completed set of 8 rows, I moved the lifeline up. If you make a mistake you can safely unravel back to your lifeline (the last known place with no mistakes). Believe me, I needed it several times. I also dropped a stitch at one point and had to use a crochet hook to bring the stitch back up 5 rows to the working stitches on the needle. Luckily the pattern camouflaged the repair! 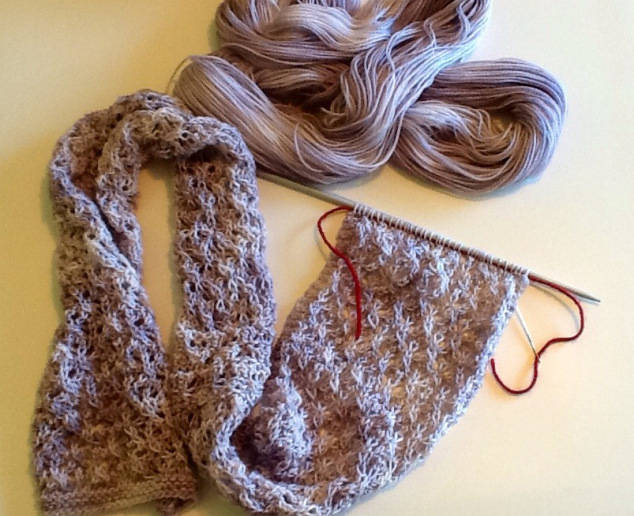 It is important to block lace knitting – you can see from the image above that the edges had a tendency to curl. I plunged the scarf into warm water and gently wrung it out. Then I pinned it in shape on a towel and left it to dry. Now it is quite flat. 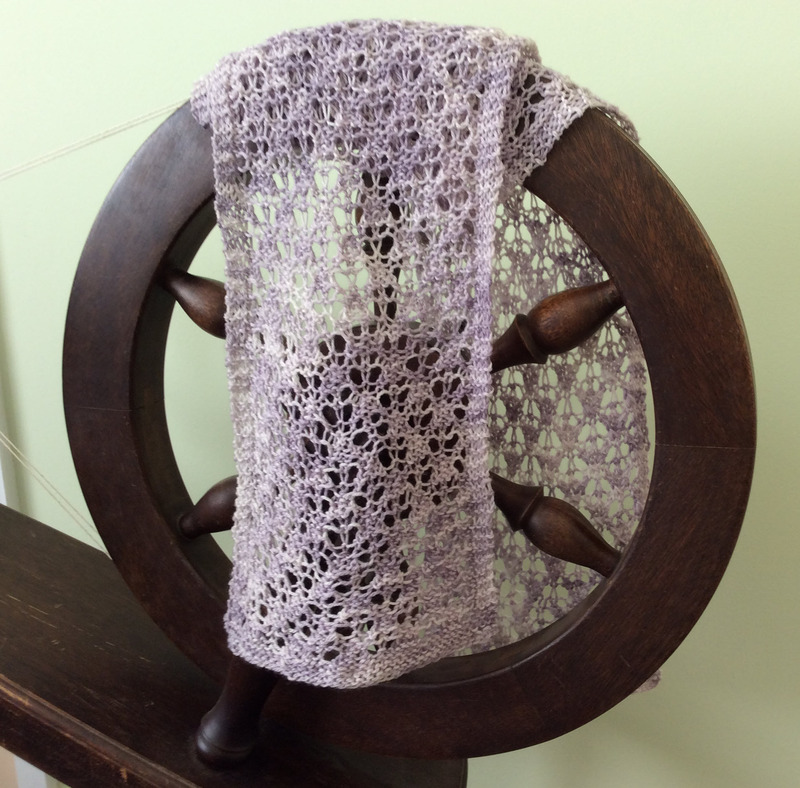 I’ve also read that it’s important to take a see-through shot of lace knitting so you can see the pattern. I don’t think I will be trying lace knitting again in a hurry. It took a lot of concentration and didn’t exactly fly off the needles. I got bored and hard to force myself to finish it. 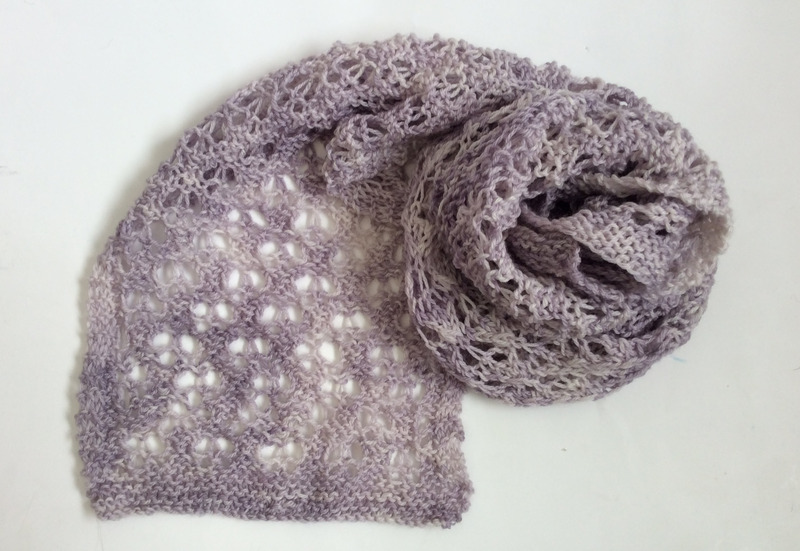 This entry was posted on 01/01/2015 by flicstar in Wearables and tagged lace knitting, lace scarf.